for the little and small. turning lives upside down ..
leaving dreams shattered and torn. Zachary's time on earth was to be short, but never forgotten. 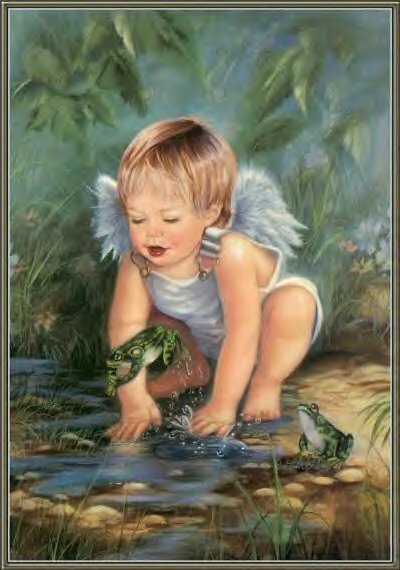 Zachary will always be remembered as the "perfect" baby in my eyes. An angel given on a loan from God to show all who knew Zachary just how beautiful and precious life can be. Before Zachary was born, I had never heard the term "congenital heart defect" before, I was shocked to find out it is the #1 cause of birth defect related infant deaths. Since the loss of Zachary, I have made it my mission to promote awareness and funding for CHD's in hopes that no other family will ever have to experience the loss of a child to a CHD again! Through research funded by organizations like the Zachary Brooks CHD Endowment, it is my prayer to someday have a prevention, cause, and cure for CHD's!! In August of 2000, the Zachary Brooks Endowment was created through the American Heart Association. 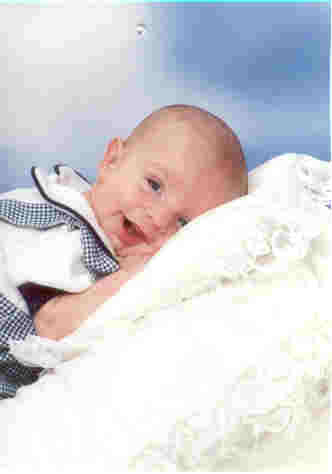 The endowment was created in memory of Zachary Brooks, to honor all those born with a congenital heart defect. The Zachary Brooks Endowment was the first endowment through the American Heart Association created specifically for congenital heart defect research, it was ground breaking. In August of 2000, the American Heart Association set a goal of $25,000 for this endowment. We were given 3 years to raise the AHA's set goal amount. Upon raising this goal amount, the money would be invested into a high return account special to non-profits. The money will be invested for one full calendar year. Upon the anniversary of the investment, the compiled interest from the endowment will be donated for CHD Research. I am pleased to say that as of now, 3 years after the endowment was created, the principle value of the endowment is near $70,000. The principle value of the endowment will never be withdrawn from, only the interest off this investment can be withdrawn. This endowment cannot name any research projects nor can it choose to fund any research projects not previously approved by the American Heart Association. We have more than reached the AHA's set goal of $25,000, by attaining nearly $70,000 in donations received, but so much more is still needed. The goal of the Zachary Brooks Endowment is to keep raising funding and awareness of congenital heart defects giving hope to the estimated 1.2 million Americans living with a CHD today. Our goal will not be meant until CHD's are a thing of the past, until there is a known cause, cure, and prevention of these deadly defects. We still need your help in meeting our goals. All checks should be made payable to the American Heart Association, check memo, Zachary Brooks Endowment. We do not recommend sending cash, but should you wish to make a cash donation, please include your name, address, and other pertinent contact information for receipting purposes. All donors will receive a tax-deductible receipt from the American Heart Association for all gifts of $250 or more. All donors will receive a thank you letter from the AHA. You can also help to spread awareness of congenital heart defects and raise funding for research by organizing your own fund raising events in honor of a loved one. 100% of your total donation will go to lifesaving research on congenital heart defects. All questions pertaining to the endowment should be directed to Angela Brooks at (616)308-8918. All media questions should be addressed to Cindy Hawken. ~ Become a part of the Zachary Brooks CHD Endowment "Saving Hearts" group by giving $1,000 or more to the Zachary Brooks CHD Endowment through the Midwest Affiliate of the American Heart Association and be recognized on the Zachary Brooks CHD Endowment Web Site with a link promoting your site. is owned by Angela Brooks. To raise funding and awareness of congenital heart defects and give hope to families affected by CHD's. 2. It is estimated by the American Heart Association that nearly 1.2 million Americans are living today with a congenital heart defect, some of them don't know it until it is to late. than all forms of childhood cancers combined, yet, funding for pediatric cancer research is 5 times high than for congenital heart defects. 5. Congenital heart defects are the #1 cause of birth defect related infant deaths. 6. Of the children sticken with Congenital heart defects, 1 in 10 have fatal birth defects. 7. Currently, there is no known cause, cure or prevention of congenital heart defects. 8. On average, 40,000 babies are born each year with a congenital heart defect. 9. Currently, there are over 35 known types of CHD. The Zachary Brooks CHD Endowment is a 501 C (3) tax exempt charitable organization. We are all volunteers working to raise awareness and funding for Congenital Heart Defects, therefore, 100% of all donations contributed to the Zachary Brooks CHD Endowment go to CHD Research. No over head costs or administration costs are ever taken out! We held you for a moment, you touched us for a lifetime. Nothing found on any of the pages within this site should be subsituted for doctors advice. Always check with your/your childs doctor for any medical advice.